First Grade has a Mystery Reader every +Thursday. Parents, grandparents, teachers are asked if they wish to participate at the beginning of the year. They are assigned a week to come. They send clues for the class. The teacher gives the clues during the day and the students try to guess who is coming. At the assigned time, the mystery reader comes in to read to the students. The students enjoy hearing a variety of people read to them during the year. 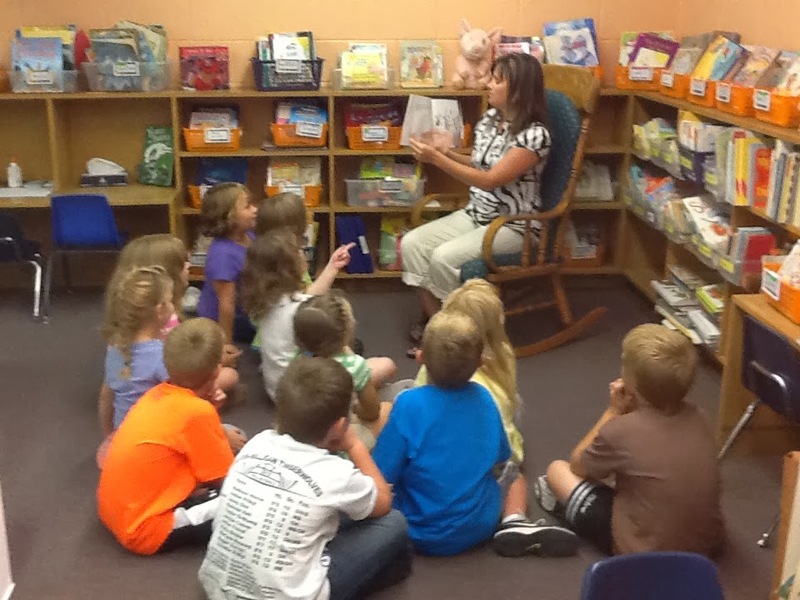 Pictured is Mrs. Kara Myers reading to the First Grade.